Spring is in the air, inspiring homeowners everywhere to dream of ways to spruce up their abodes, both inside and out. If you are among those enterprising folks, a trip to the local home improvement store may be in the cards in the near future. The two titans of this industry — The Home Depot and Lowe's — are likely to offer plenty of good deals this spring and summer. However, with a little ingenuity, you can save even more at the register. Following are six things savvy shoppers can do to cut costs at both Home Depot and Lowe's. Sites such as Cardpool.com and Raise.com offer discounted gift cards for both Lowe's and Home Depot. We recently saw Lowe's gift cards at a 10 percent discount on Cardpool and an 8.9 percent discount on Raise. Meanwhile, we found Home Depot gift cards for 6.5 percent off on Cardpool and 5 percent off on Raise. What do-it-yourselfer could turn a blind eye to such savings? If you love to plant, the Lowe's Garden Club can add a little "green" to your efforts — in the form of cold, hard cash. Sign up for the club and you will receive a weekly email with coupons for foliage and gardening supplies. The emails also contain gardening tips from bloggers, videos and other goodies. The Home Depot Garden Club also sends members emails with "special promotions, offers, how-to project information, expert advice and more." In addition, you can sign up to receive up to 10 text messages per month with similar offers and advice. It looks like savings are in full bloom! Sometimes it pays to do a little research. If you find that a competing local retailer has a lower price on an item stocked by Lowe's, bring in the competitor's ad and Lowe's will match the price — and then beat it by 10 percent. The Home Depot offers a similar match-plus-10-percent policy. Both retailers have exclusions to these price-matching guarantees, so it's important to read the fine print in the links above. If you are a current or retired member of the armed services with a valid, government-issued military ID card — or an immediate family member of someone with such a card — you can get a 10 percent military discount on every in-store purchase at Lowe's. Veterans also can get discounts on Veterans Day, Memorial Day and the Fourth of July so long as they hold a valid Form DD214 or other proof of service. The Military Discount must be used on personal purchases only and cannot be used for Lowes.com purchases, previous sales, or the purchase of gift cards or services including product installations. It also cannot be used with some other promotions. Things are trickier at The Home Depot. Last year, there was controversy after a veteran posted on Facebook that his local store had refused to honor the military discount. 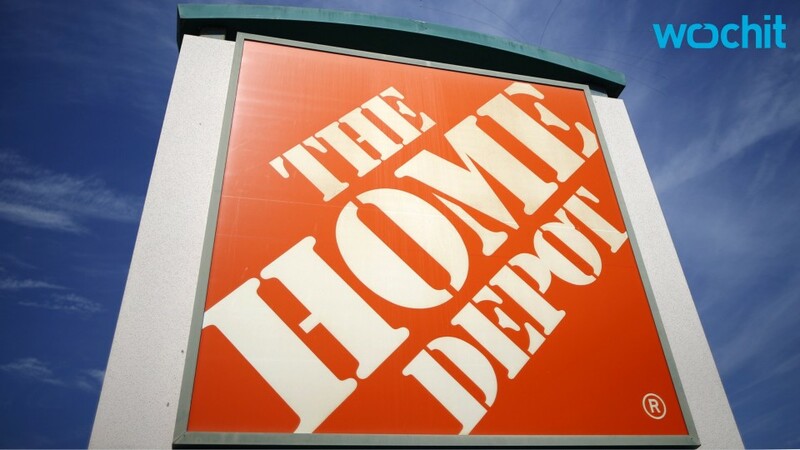 Money Talks News was unsuccessful in its attempts to reach The Home Depot to further explain its policy. So, you may want to call your store to find out whether it offers the military price break. Ebates is a popular cash-back website that can save you additional amounts with every purchase. For example, if you stop at Ebates before shopping at the Lowe's website, you can save 3.5 percent on your purchase total. If you visit Ebates before visiting The Home Depot website, you can save 1 percent on your purchase. It may not sound like much, but it adds up, particularly if you shop at these stores on a regular basis. In addition, there are sometimes specials that will considerably raise the rebate. Read more about how to use Ebates in "Anatomy of an Online Deal: How I Paid $4.75 for a $25 Item." Product packaging sometimes gets a bit damaged during transit or stocking, and you may be able to use these imperfections to your advantage. Many stores — including Lowe's and The Home Depot — want to rid their shelves of items with torn or otherwise damaged boxes. So if you see a box that looks a bit worse for the wear, ask the store manager if they are willing to discount the item. After all, the worst they can say is no — and often, they won't. Do you have other great ideas for shopping at Lowe's or The Home Depot? Share them in our Forums. It's a place where you can swap questions and answers on money-related matters, life hacks and ingenious ways to save. This story contains affiliate links, which means Money Talks News may get a commission if you decide to purchase anything from some of the companies in this story. However, we only recommend good stuff, and using affiliate links helps us to keep the lights on, allowing us to continue to offer you great money-saving tips every day. If you're unsure of where you want to go, browse sites for online deals. You'll find new places to dine at for a discounted price: win-win! If you do have a particular place in mind, always check their website before you make a reservation. You never know what coupons or special online deals you'll find! Most restaurants have a different menu for lunch hours, which usually include smaller portions and cheaper prices. Also, you're less likely to be tempted to go for that cocktail or glass of wine in the middle of the day, which will save you bucks on your bill. If you don't have a preference of which meal you want to dine out for, lunch is usually your better bet. Most restaurants list entrées at steeper prices than appetizers, and often times the portion sizes aren't that much bigger. In fact, appetizers can be just as satisfying. You can also order one or two side dishes and enjoy those as your main meal. Nosh on something light from your kitchen that won't completely spoil your appetite. This way, you'll be less tempted to order larger portions or appetizers which can make your bill much more expensive. If you don't finish your meal, take home what you didn't eat and eat it the next day for lunch or dinner. You can also order an entrée with the intention to eat half and bring the rest back home--it will cost you more initially, but dividing the cost in half between two meals will save you money in the end. If there's something on the menu you really want but the price is way too high, ask if portion sizes are big enough to be shared. You'll end up cutting the price in half. If you're planning on drinking alcohol while dining out, places that allow you to bring your own are an easy way to save. You won't get overcharged for drinks that the restaurant serves, and you can spend as much money as you want beforehand when purchasing it. A glass (or two) will cost you, especially since restaurants can charge however much they want per drink. Opting to not order alcohol in addition to your food is a big money saver. Many restaurants will offer deals for interacting with them on social media. Something as simple as "liking" their page, "mentioning" them on Instagram or Twitter, or even sharing a post of theirs can result in big discounts. If you're out to eat with a big group of people, you can end up overpaying when you split the check evenly. Ordering separate checks ensures that everyone pays for exactly what they ordered, instead of having to pick up the bill for someone else's expensive entrée. You Can Get Heavy Duty Fraud Protection With a Credit Freeze, but Should You?